Beautifully Presented Detached Family Home located just the shortest of walks from the Beach via a direct walkway from the Ringbuoy Cove Development. Three well proportioned Bedrooms with the Two on the First Floor enjoying views of The Irish Sea. Plenty of entertaining space on the Ground Floor with a Lounge; Sizeable Kitchen, Dining Room and added Sunroom. Large corner site with lawns to front, side and rear with Tarmac Driveway providing ample Parking. 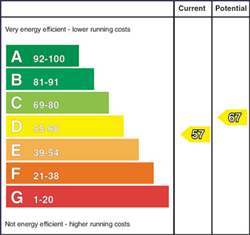 Benefits from uPVC Double Glazing and Oil Fired Central Heating. Internal viewing is a must to see all that this excellent home has to offer. Feature chunky pine fireplace with tiled hearth, cast iron inset and hood (open fire). Solid oak flooring. Two double panel radiators. Excellent range of high and low level shaker style kitchen units with roll edge worktops. Glazed display units. Window pelmet with recessed lighting. 1½ tub stainless steel sink unit with mixertaps. Integrated fridge / freezer. "Belling" extractor hood. Part tiled walls. Tiled flooring. Double panel radiator. Part double glazed uPVC door. Corner feature multi fuel cast iron stove with tiled hearth. Semi solid beech flooring. Double panel radiator. Double glazed service door.
. Four piece white suite comprising panelled bath with chrome telephone hand shower, low flush wc, pedestal wash hand basin and corner shower cubicle. Part tiled walls. Tiled flooring. Extractor fan. Single panel radiator. plus window recess. Views of Irish Sea. Eaves storage. Double panel radiator. Three piece suite comprising panelled bath with telephone hand shower, low flush wc and pedestal wash hand basin with chrome fittings. Part tiled walls. Tiled flooring. Single panel radiator.